Website template is the best solution for site building. Here are 20 Best Free Bootstrap landing page templates in 2018 for creative and powerful website building. Your landing page is fundamental in persuading new visitors to take certain actions when visiting your site. Whether it be having users sign up, register, or even buy your product or service, designing an excellent landing page will help you realise this goal. But how do you quickly build a quality landing page? Using a powerful and flexible landing page template may be your best choice. Most HTML5, Bootstrap, and CSS3 templates include features that can help you effortlessly create a page. In addition, web designers and developers readily share free responsive landing page templates on the Internet for you to use. Mockplus has hand-picked 20 of the best free responsive HTML5, CSS3, Bootstrap, and WordPress landing page templates in 2018 that you can quickly implement in your project. There are 5 fully customizable and responsive landing page templates for your inspiration. 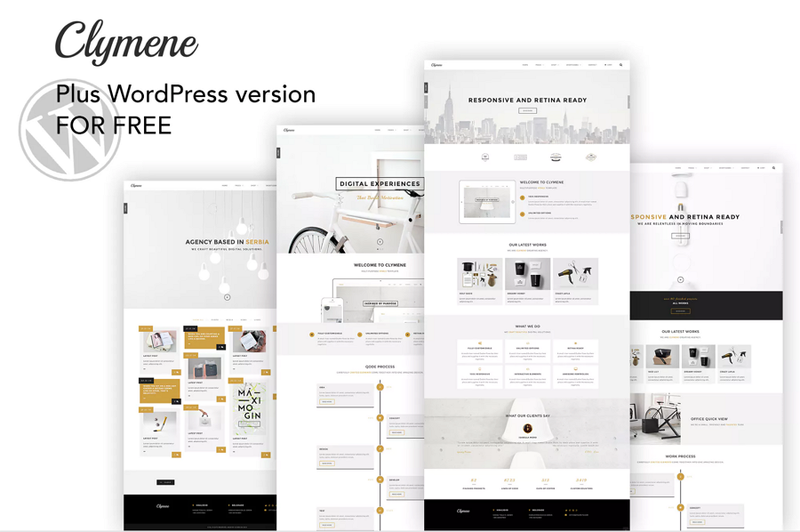 Clymene, built with html5 and css3, is a perfect and versatile HTML template for creative portfolio websites. This multipurpose template has every detail covered, so it’s perfect for everything from bloggers, freelancers and photographers to restaurants, commercial stores and travel agencies. This template makes your portfolio display in a classic grid or in the Pinterest-style masonry layout that maximizes the space on the page, creating a more engaging user experience. Sukces is a powerful personal resume cv html5 / css3 template based on Bootstrap 3 framework. This template has beautiful design & effects, including video background, slideshow background, blog, a working contact form, lots of useful components, 8 color schemes and effective components, etc. All these features make it perfect for a one page personal website. Based on Bootstrap 3, the template is responsive by default and has all the common elements styled, assuring that it will look and work awesomely on any device. Meal is a free One Page HTML restaurant template built by Free-Template.co. This template has many unique features, including neat load transitions, an off-canvas navigation, a food menu (with breakfast, lunch, dinner switcher), chef profiles, a customer review slider, reservation form and a smart footer with Google Maps integration. There are lot of landing page design examples made by this template. 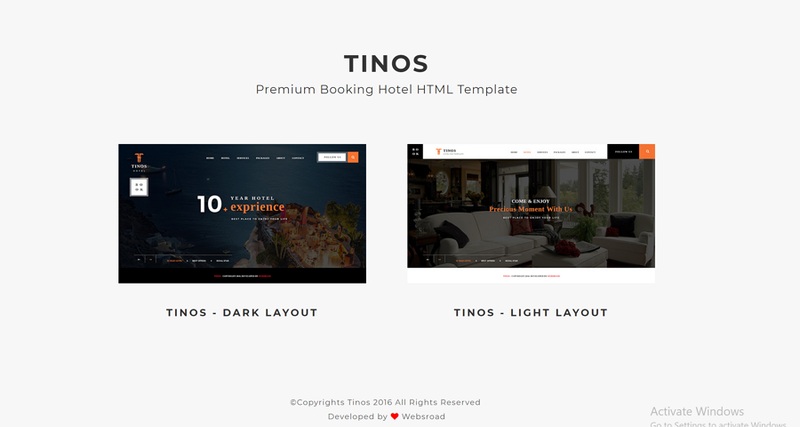 Tinos is a creative and clean template specially designed and developed for hotels, resorts and room reservations. Tinos has two versions (Dark & Light), both of which features a clean and trendy design. The great combination of the Tinos and Montserrat fonts evokes the feel of luxury to anyone using this template. The design is very creative, unique, and very easy to customize. 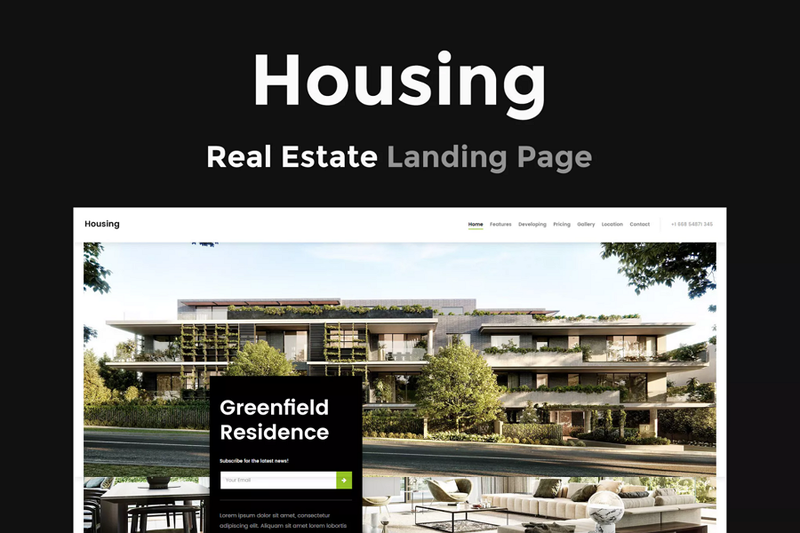 Housing is modern & clean real estate landing page template for Real Estate. This template can help to convert your visitors into future clients, so it’s popular for real estate developers, architects, agencies or any business related to real estate. The beautiful minimal and clean design provides a pleasant user experience to any user that visits your site. You can even learn a few landing page design tricks from this one. A free collection including Bootstrap built landing page, home page, themes and templates. 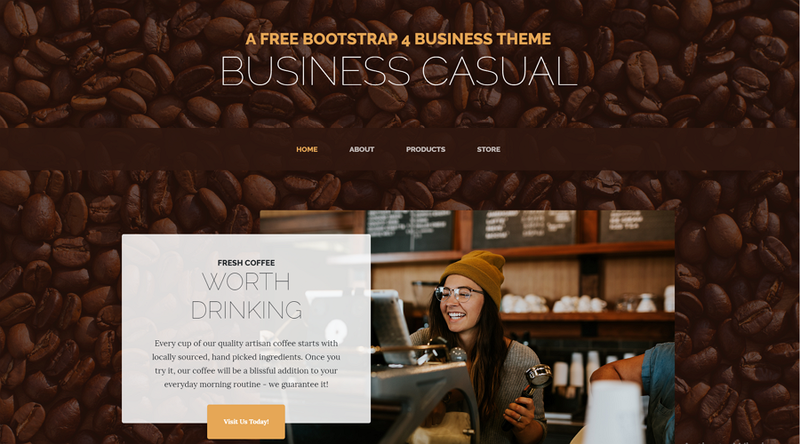 Business Casual is a full landing page template created with Bootstrap 4. It is responsive and supports the latest and stable releases of all major browsers and platforms. It has 4 pre-built HTML pages and a number of different custom-styled components. New Age has a Bootstrap landing page theme that helps you showcase your web apps. Just drop in content, you can easily use HTML5/CSS Device mockups on it. This theme features a bold, colorful and stylish design with various content sections, custom fixed navigation menu with scrolling animations and custom style buttons. Freelancer is a one page Bootstrap portfolio landing page theme for freelancers.It features a fixed top navigation that collapses on scroll, perfectly responsive portfolio grid with hover effects and custom horizontal rules using Font Awesome icons. It’s a fully responsive HTML template created with Bootstrap 4. Moreover, it has a responsive, full screen modal windows for featuring project details. Appy is an app landing page that was designed for selling mobile applications. 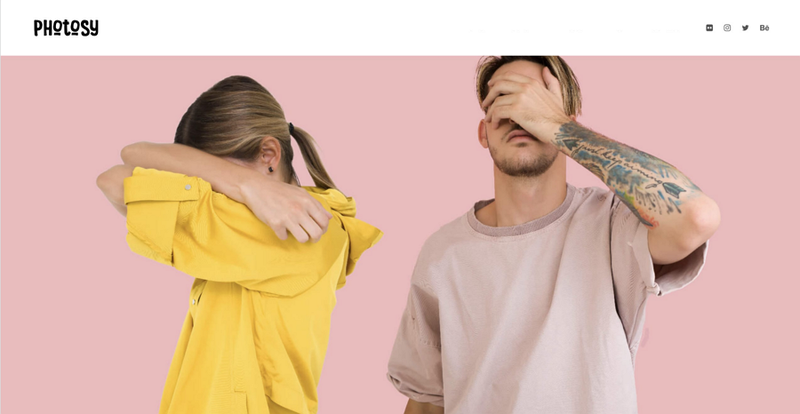 It has creative, modern design elements, unlimited colors, smooth transitions, parallax scrolling websitebackgrounds, Google fonts and Mailchimp integration. It has good customer service with 6 months support. Appy includes every possible element an app landing page should contain. Grayscale, a fully responsive HTML template created with Bootstrap 4, is built to support the latest, stable releases of all major browsers and platforms. It’s a multipurpose, one page website theme and features a dark layout along with smooth scrolling page animations. WordPress is one of the most popular CMS platforms on the web. Here you will find the best landing page theme for your WordPress website. 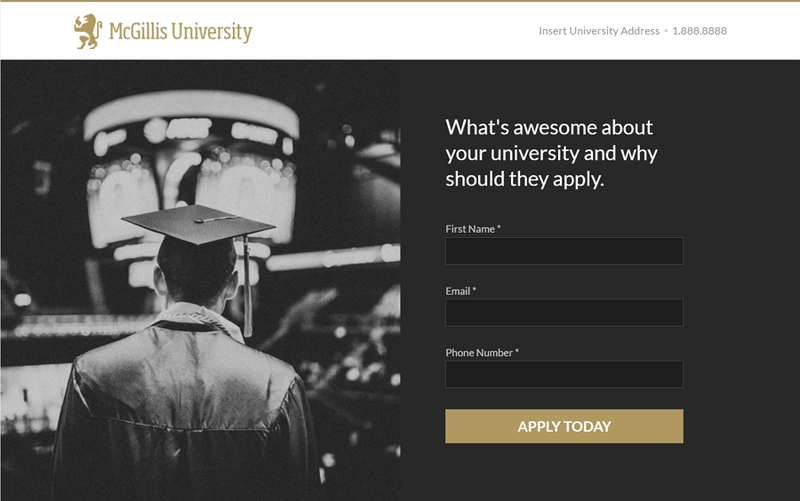 Mcgillis is a minimalist Wordpress landing page template designed to help users choose a good school. It’s a free template for education only, so if you are going to create a website for education, it’s your best choice. The best part is the excellent form design, which displays what's awesome about your university and why people should they apply. The inclusion of social proof and authentic testimonial makes this template really useful. Moto is a responsive, clean and modern designed WordPress Theme for landing pages. It features a neat, clean and simple design, unlimited color variation, blog page, Google fonts, font awesome icons, line icons and the like. Of particular note is the fast drag and drop page builder which is also easy to customize. Gaze is a premium multipurpose WordPress theme that is designed and developed with simplicity and flexibility in mind. Thisecommerce landing page template has over 18 home demos with unique styles and functionality and more than 100 modules and elements. It best for startup websites, portfolios, digital agencies, business companies, landing pages, online stores and personal websites. Stash is an intuitive, flexible and powerful WordPress theme for business websites. It features a pre-made layout which assures your content displays well. The theme includes the most popular premium plugins on the market: Visual Composer, Revolution Slider and Essential Grid.You c an create almost any type of layout by simply using the drag-and-drop interface and tons of pre-built elements. Photosy is a WordPress theme by Theme Bubble designed to suit the needs of photography websites of all sizes. The theme includes the best landing page examples, which feature long-scrolling single page layouts. The most interesting features include intro project carousel, an Instagram feed, blog posts and projects that pop with several options, full canvas view, zoom, full screen, auto-play slideshow and even an option to download the images. We want to share more landing page templates with you to build your own preferred website. Atlas is a quality freebie by front-end developer Yiya Chen. This free One Page HTML template was built on the Bootstrap Framework and is suited for a clean, long-scrolling landing page. It includes clear typography, content load transitions, trendy diagonal lines, devices with screenshots, a 3-tier pricing table, client logos and ends with a contact form. Product landing page is one of the popular template released by WIX. It is designed especially to suit the needs of business websites that have a promotion plan. This template has a rich interface design and a special commodities section. Drew is a robust landing page template that meets all the needs that your landing page requires. The most exciting thing is the combination of beautiful design & the perfect marketing approach to the web surface, while keep providing the excellent performance and functionality to your end users. Moreover, it includes plenty of components and variations. Delta is an HTML5 landing page template which aims to help app developers promote their mobile apps. You can just drop in your content/images and wire up the contact form to quickly build your site for its simplicity and straightforwardness. Prottasha is a professional HTML5 landing page template designed to suit the need of any charity, non-profit, NGO or donation-based website. It’s made with the latest version of the Bootstrap framework. This template comes with a clean look and feel, stylish & modern styling, including 11 unique HTML pages, 4 different home pages, 3 blog pages, 12 different types of pre-made color schemes and more. A collection of free, Bootstrap built landing pages and home page themes and templates. Fully customizable and responsive landing page templates. 125 One Page Landing Page Templates. Easy and powerful landing page templates. The nest landing page website template you will love. Above are the 20 Best Free HTML5, CSS3, Bootstrap, and WordPress landing page templates for 2018. 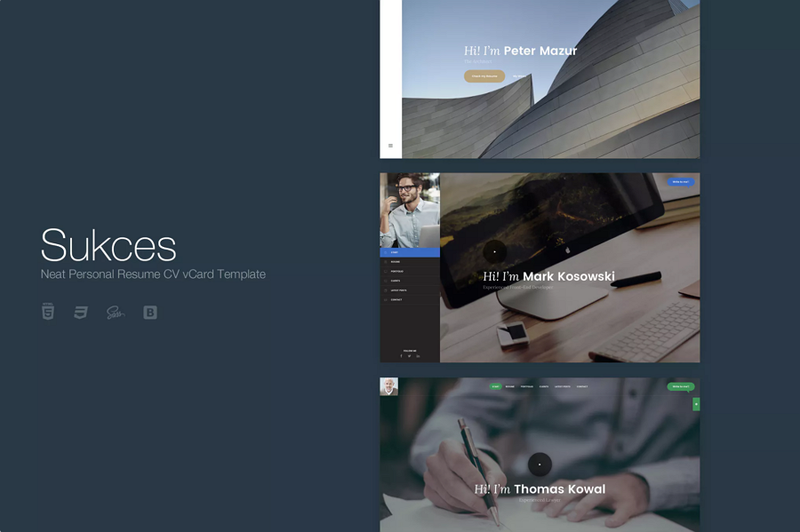 We hope these templates will help you create responsive websites with less time and effort. And don’t forget to give Mockplus (Rapid Prototyping Tool) a go when building your next app!